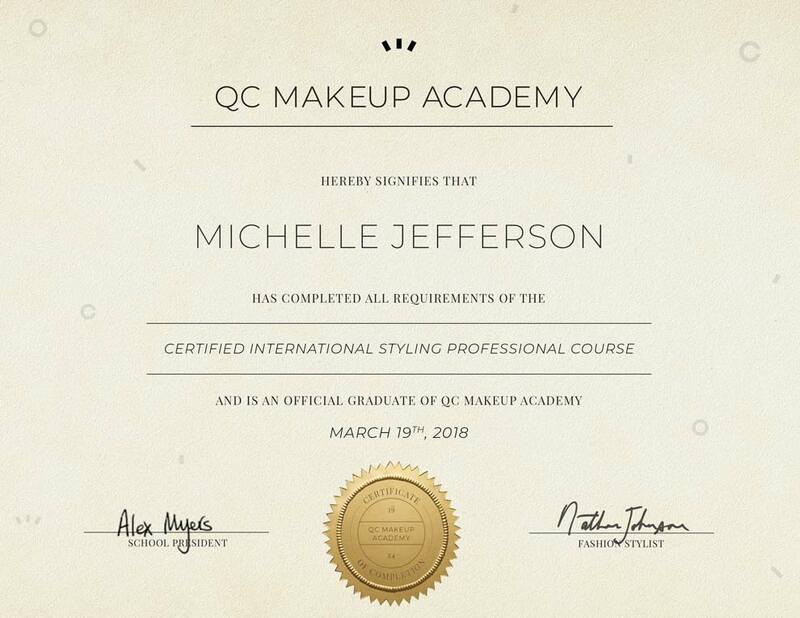 QC Makeup Academy students have access to the Online Student Center and new course materials even after graduation. I love my school!! I would recommend this school to everyone. You can work on your own pace and finish quicker if you want and just find family and friends to practice on.. practice makes perfect!! Learn how to dress clients of any body type and age through this detailed online course. Start a fashion consulting business or add to an existing makeup business and help clients dress for job interviews, high profile events, weddings, maternity and much more! New York City fashion stylist Alison Rodman is your course instructor. Currently working in Manhattan, one of the world’s biggest fashion hubs, she’s styled celebrities for red carpet appearances, advertising campaigns, fashion catalogs, and more! With over 10 years of industry experience in personal and editorial styling, she’s truly done it all. When enrolling in a QC course, you will be assigned a personal tutor who will provide you with individualized feedback and advice on how to start your career. Benefit from a one-on-one learning experience unmatched by any online or in-class fashion styling school. Read more about QC’s tutors. I love that you work at your own pace and if you have questions they are there for you. Anytime I reached out I received a timely response.My tutor was great, I didn't wait long for my assignments to be graded. Also if you think you can't afford it, think again! payment plans for every financial situation was also a huge relief for me. Great experience. 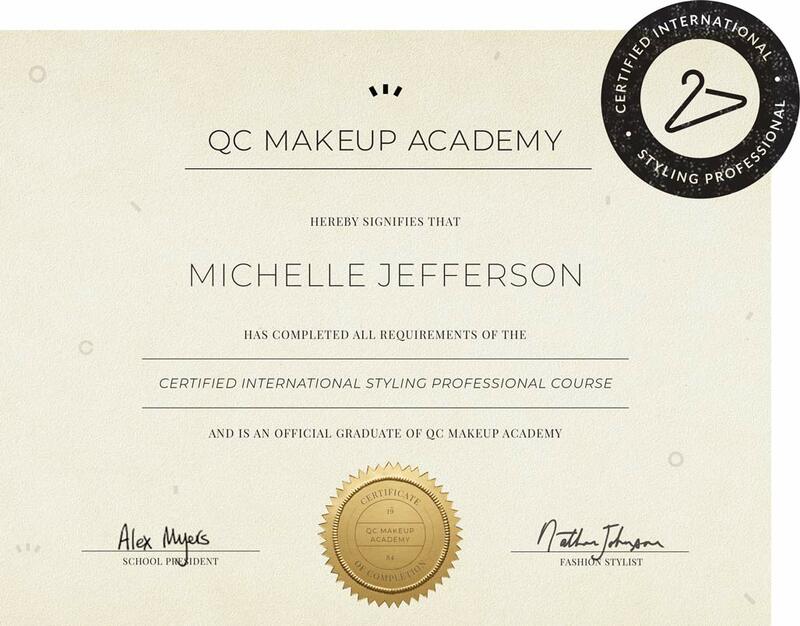 Upon graduation, you will receive your Certified International Styling Professional (CISP™) Certification. This certification shows clients that you are an educated, trained professional. As with any job, a certificate alone will not guarantee your success. However, it is a testament to your professional education. Employers and clients are more likely to regard you as a well-rounded and highly knowledgeable fashion stylist. QC graduates of the Fashion Styling Course have gone on to run their own successful careers in the style industry. Start Your Fashion Styling Course Today! Enjoy 50% off any additional course! Enroll in QC’s Fashion Styling course and start learning a new exciting skill today!